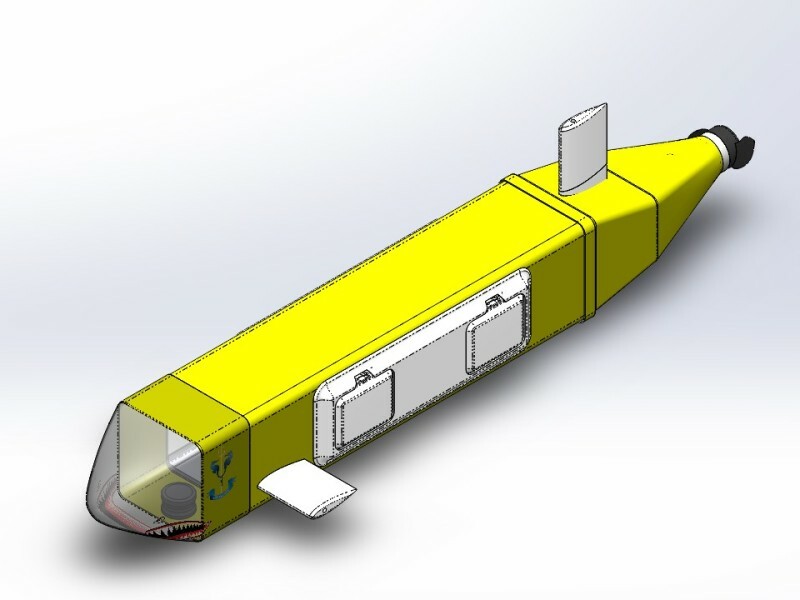 RiverBot(TM) is the name of a community designed and built autonomous underwater robot that is capable of operating in water up to 15 meters deep. 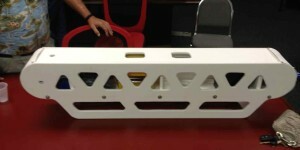 This is the first of several robots we will be building. We won’t charge local K-12 schools and homeschoolers to run a mission, but we may have to request support for transportation and accommodation if we have to travel. In some cases, we may have secure a grant if a school has a very elaborate or expensive sensor configuration. 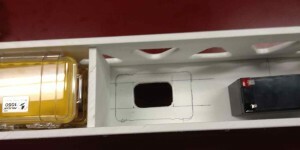 This prototype helped us understand platform motion, buoyancy, stability and payload enclosures. 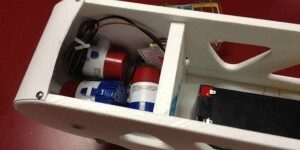 The prototype uses bilge pumps as thrusters to turn and control pitch. 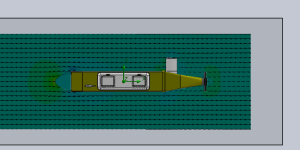 An arrangement of 4 bow thrusters control pitch and yaw.These turned out to be prohibitively expensive to our power budget. 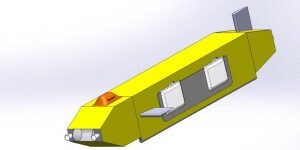 The Mark I RiverBot(TM) is the first design we will be operating with community science experiments on board. 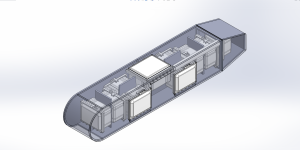 The payload bays along the sides can accommodate an 8x6x4 form factor. We’ve tested the AH864 enclosures made by Attabox and are comfortable recommending them our community to use for missions as deep as 15 meters (based on our testing, but NOT endorsed by the manufacturer). 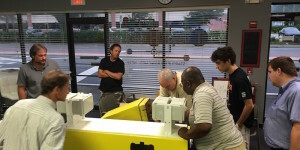 Our 3D modeling expert is a STEM student from a local high school. He has put a large amount of effort into each design iteration. You can support our project by donating using the Paypal link below, or contact us if you wish to donate in-kind.